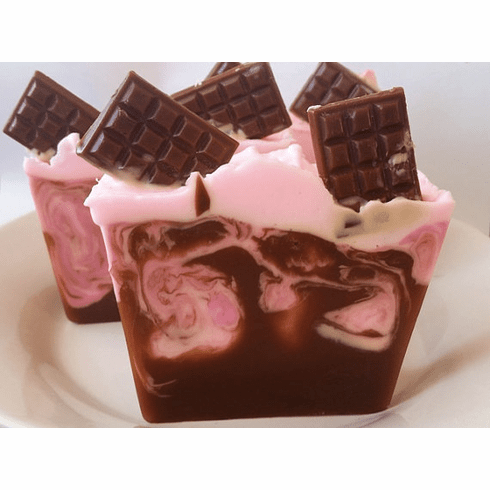 This decadent raspberry and chocolate truffle glycerin soap looks and smells delicious enough to eat. Comes beautifully packaged and is enriched with creamy cocoa butter, sweet almond oil, and extra coconut oil. Weighs approximately 6 ounces. Vegan soap!